Let’s face it, veterinary dental care is very expensive. The exams are pricey and quotes for dental procedures cause sticker shock to pet owners across the country. While not every dental condition can be prevented, it’s curious to think about why prevention through nutrition is not a topic which is more commonly discussed. Most online articles about dental care for your dog or cat address the dry food (kibble) vs. wet food topic. Depending on when the information was written and on who wrote the article, one will see a broad range of opinions. We’re going to skip this topic and look at it from a perspective of holistic pet health and nutrition. Instead of debating whether poor quality dry pet food, often with an excess of carbohydrates (starches and sugars) can help “brush” your pet’s teeth, let’s look at a few underlying issues. They seem to be trying to solve the problem by the same means that the problem was created. “Poor foods contribute to gum and tooth disease by several means. First, and most obvious, high levels of sugars and simple carbohydrates provide rapidly available nutrition for oral bacteria. Secondly, poor nutrient quality simply does not support the immune system. It seems that we can do a whole lot better for our pet’s oral health by improving the quality of nutrition we give them. This will positively impact their whole body and not just their teeth. There are many helpful articles about brushing your pet’s teeth regularly and using raw bones and/or dental chews (depending on species and size) to help control plaque and tartar buildup. Here is one helpful dental care article. From a nutritional perspective, enzymes, not available in most pet foods, are critical for dental health. These enzymes can be found in a species appropriate diet of raw meat, fresh vegetables and fruit. In addition, supplementing with enzymes is an effective solution that supports your pet’s oral health. Enzymes are an important part of your pet’s healthy mouth, teeth and gums. They aid in breaking down the food that our pets consume. They process and remove the “food,” including sugars and starches, that oral bacteria need to thrive. Your dog or cat’s immune system relies on enzymes for support and strength. Having healthy immune function will increase the odds in favour of oral health for your pet. We recommend this deeper, more holistic solution. 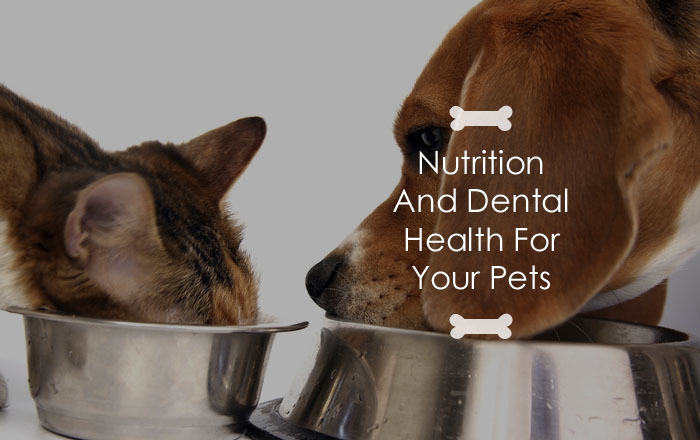 A healthier dog or cat plus fewer veterinary dental bills will likely be the result of examining and improving the nutritional foundation of your pet’s oral health. BiologicVET provides the proper balance of enzymes your pets need to sustain healthy dental health, digestion, immune and cellular function, tissue, muscle and bone maintenance, skin, coat and general health.